The Gills Club and WAVE Foundation at Newport Aquarium are teaming up for a new girls focused STEM initiative! Each meeting will cover a new topic, meet a new expert, and include hands on activities. Gills Club members that attend all 6 sessions in our debut year will earn a reward! Meetings will be held on select Saturday’s and are open to WAVE Foundation at Newport Aquarium Gills Club members, girls ages 6–13; must be accompanied by an adult. Register online now to reserve your free spot in our new club! Shark Dissection: get messy and dissect spiny dogfish sharks as we learn more about what makes sharks unique. Trick Or Treat! Learn about the deep-sea animals some might find spooky. Come wearing your Halloween costume- we will have prizes for shark/scientist/ocean themed costumes! 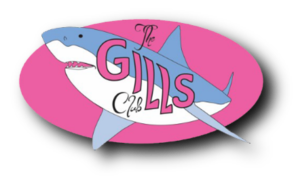 We’ll also be celebrating our 2 year anniversary of the Gills Club at Newport Aquarium! All I Want for Christmas is Shark Week! If you have questions about the Gills Club, please email Lauren Beatty, Conservation Education Coordinator, at lbeatty@wavefoundation.org or call 859-815-1422. By completing this form, I agree that my child has permission to participate in all activities and that WAVE Foundation and Newport Aquarium have permission to use my child’s name and photograph for educational and public relations purposes related to the Newport Aquarium and the WAVE Foundation. If your Gill is already registered for one or both of these meetings, there is no need to re-register. We will transfer over all Gills, unless we receive notification that you can no longer attend. Thank you, and we look forward to seeing you this fall!